This year alone, nearly 6 million new and existing homes are expected to sell. This will hold as the largest tally in 10 years for this statistic. Meanwhile, each transaction will culminate in a “closing”. 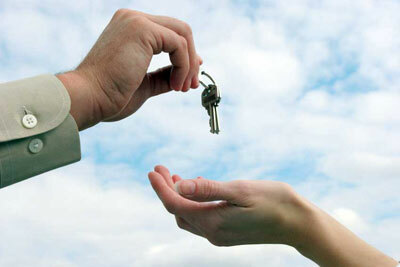 A closing is the legal process by which ownership exchanges hands. The closing is also the last step in the home buying process before receiving the keys. Even an experienced homebuyer can get rattled in a home closing. Unfamiliar documents and customs tend to lead to stress during this transaction. Therefore to help ease this process, it can help to learn a little about the real estate closing process to help you be prepared and ready to receive the keys to your new home. In certain states and regions in America, a closing is represented by a few different names. You may have heard of a closing being called a settlement, escrow, and other names for instance. Regardless of where you live, the purpose of a closing is the same. It is to legally transfer ownership from seller to buyer, and for homes financed with a mortgage, to sign the appropriate home loan documents. Some other documents are signed at closing too. This includes certain disclosures and guarantees, which can leave a buyer signing over 150 times. The path to buying your home begins the day your purchase agreement gets signed. In the agreement, a closing date is assigned, which is agreed upon by all parties partaking in the deal. A location will also be determined for the closing signing to occur. Purchase closings are typically scheduled for between 30 and 60 days in the future after the purchase agreement is signed. Some closing may be rushed and scheduled sooner than this timing, and other scheduled for later. Most closings that were based on a new construction may not take place for over a year. This period between contract and closing is sometimes referred to as “being in escrow”. This meaning that the home sale is pending, but not yet complete. During this time the buyer performs additional due diligence, including ordering an inspection of the home, and begins to get mortgage financing in place. The first few days after signing for a new home can feel like a rush. If you have been approved previously, once you are under contract, you can choose to lock in today’s mortgage rates. However if you have not yet spoken to a lender, or broker, such as NSH Mortgage, you will want to do that prior. It is always beneficial to have your mortgage approval paperwork handy. Although mortgage approval can be issued quickly, delays can derail your closing and cost you money. Lately, surveys have shown that days required to close on a purchase loan has reached 45 days in June, which is the longest in more than a year. During the approval process, your lender may request for income and asset verification, signatures on disclosures, and other documents required to meet loan guidelines. This will also commission an appraisal of the home to be purchased. All of these steps take time and once completed, the lender will issue a final underwriting approval. This is known as being “clear to close”. Closings, most of the time, are typically officiated by a company known as a Title Agency. As one of the final steps of the closing, once all required signatures have been recorded, money is transferred from buyer to seller. The money is typically transferred in two parts. The first part is the remaining portion of the homebuyer’s down payment, which is the down payment amount minus whatever earnest money was paid on the date of contract. Funds to the seller may not be paid in cash or with a personal check. Only wired funds or a cashier check will be accepted. The second part is the funds from the lender, which makes up the difference between the buyer’s down payment and the home sale price. Note that for zero-down loans such as the VA loan and the USDA loan, there is no down payment for a buyer to make; and the earnest money deposit is typically returned in full. Next, after all documents have been signed, and all funds distributed, the deed of ownership will be transferred from seller to buyer, and recorded by either the title company representative or the attorney. It’s at this point that the buyer becomes a homeowner. To keep your closing going smoothly, though, there are some documents you’ll want to bring with you. First, make sure to pack a valid government ID. This can be your driver’s license, your passport, or anything else you use to identify yourself officially. You should also bring a copy of your new homeowners insurance policy, which shows that your new home is covered beginning with the date of your closing; plus, proof of payment of the same. Lastly, have your “cash-to-close” ready in advance, whether via wire or cashiers check. This amount will have been communicated to your by your lender. Everything else will be waiting for you at the closing. It’s an excellent time to purchase a home. Rents are rising nationwide, mortgage rates are dropping, and lenders are approving more loan applications than during any period this decade.